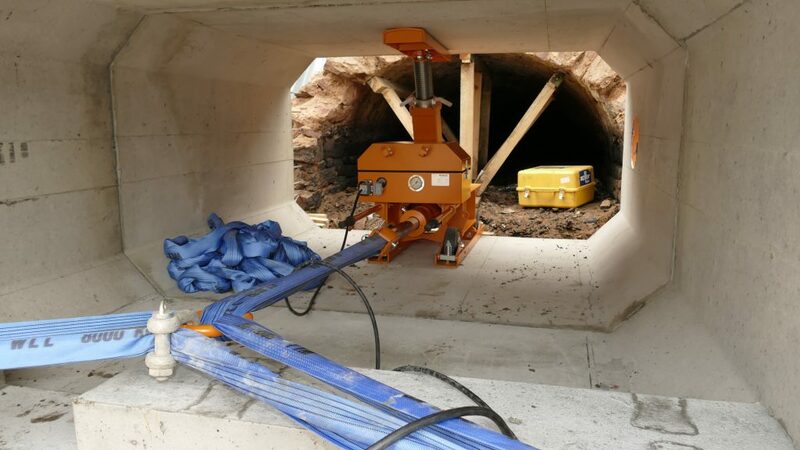 The Wimag hydraulic puller makes the task of compacting culverts and pipes as easy as pressing a button on a pendant control. It has a quick set up time and is suitable for use with a wide range of heights, widths and weights. Over the years we have provided equipment and solutions to customers involved with the installations of concrete sections and you’ll find us very proactive when it comes to advice and help. We also hire a mechanical culvert puller – the Bristol Bulldog – which is suited to a wide variety of uses, in particular low height culverts. Click here to view this product.